With Direct Mail Printing & Tabbing, automation is everything. 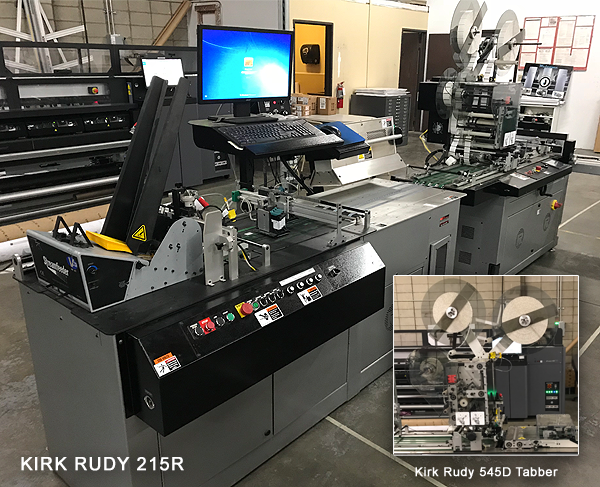 At SB Mailworks we employ the use of The Kirk Rudy 215R Feeder and 545D Tabber for virtually error free USPS tabbing compliance. See it in action below. See the Kirk Rudy 215R run!